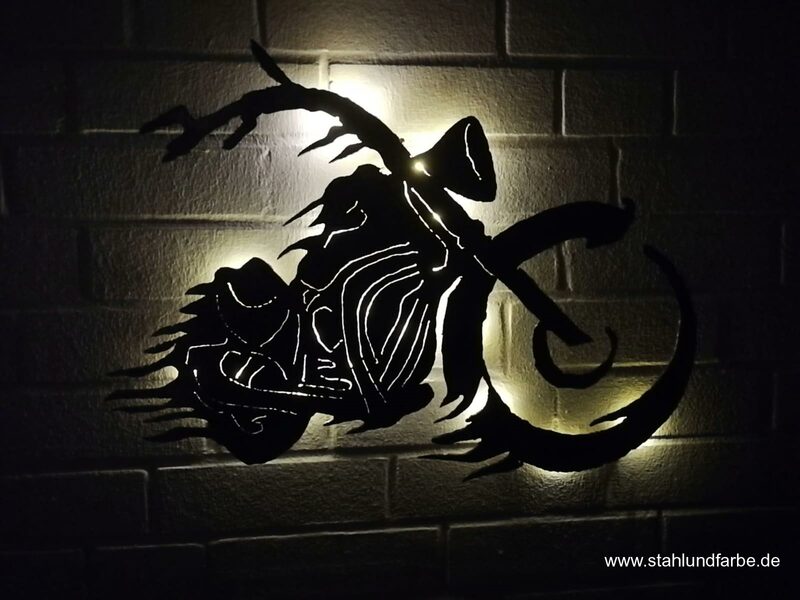 Metal wall pictures as decoration and wall decoration for the living and office area, with battery-operated Led backlighting. 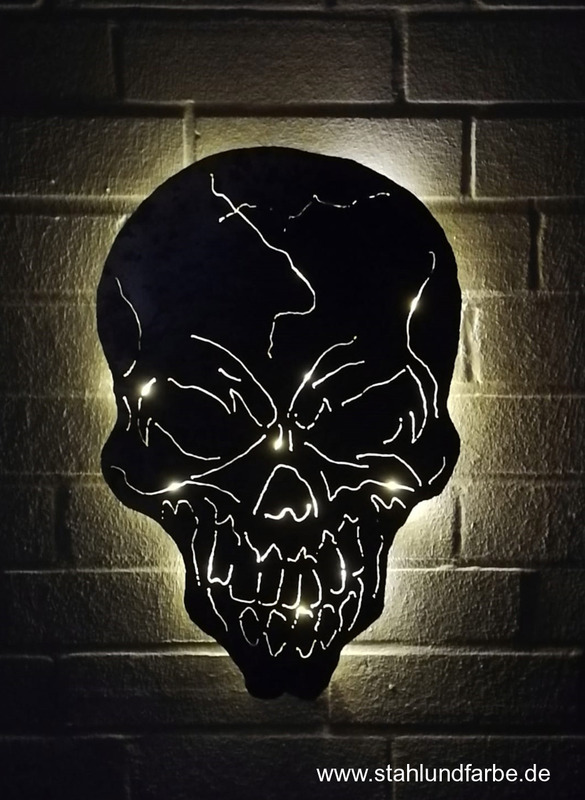 Led metal wall picture skull, backlit, height 60cm x width 30cm. 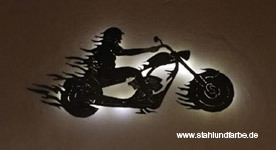 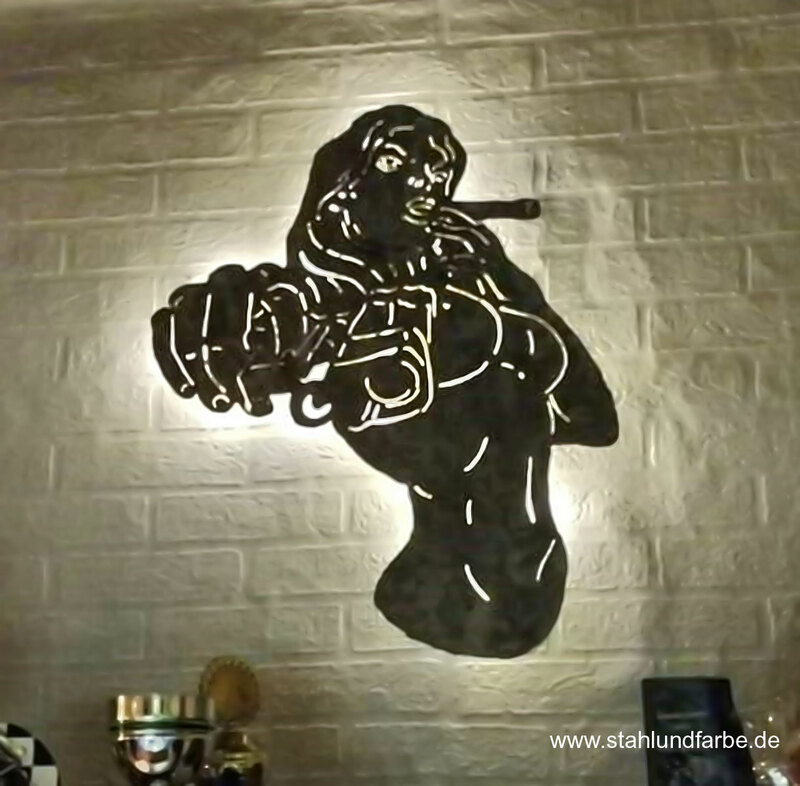 Led metal wall picture flames biker, backlit, height 40cm x width 70cm. 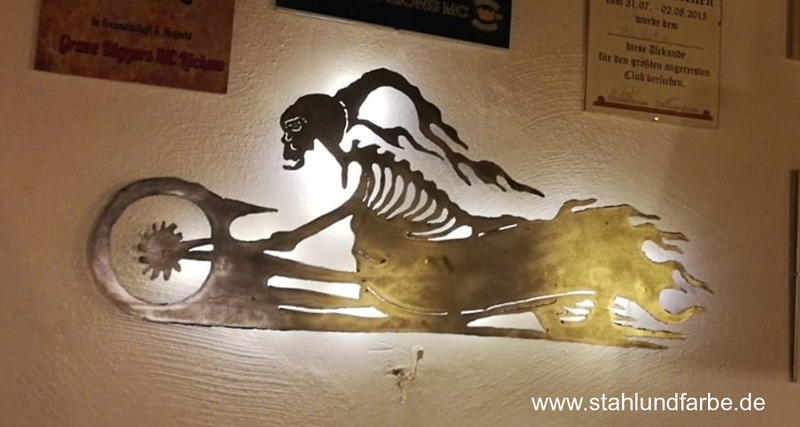 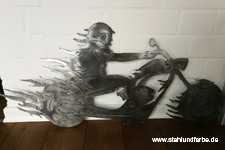 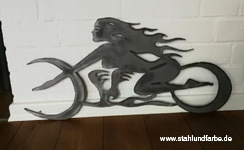 Metal wall picture flames skeleton biker, backlit, height 40cm x width 70cm. Metal wall picture gangster bride, backlit, height 40cm x width 70cm. 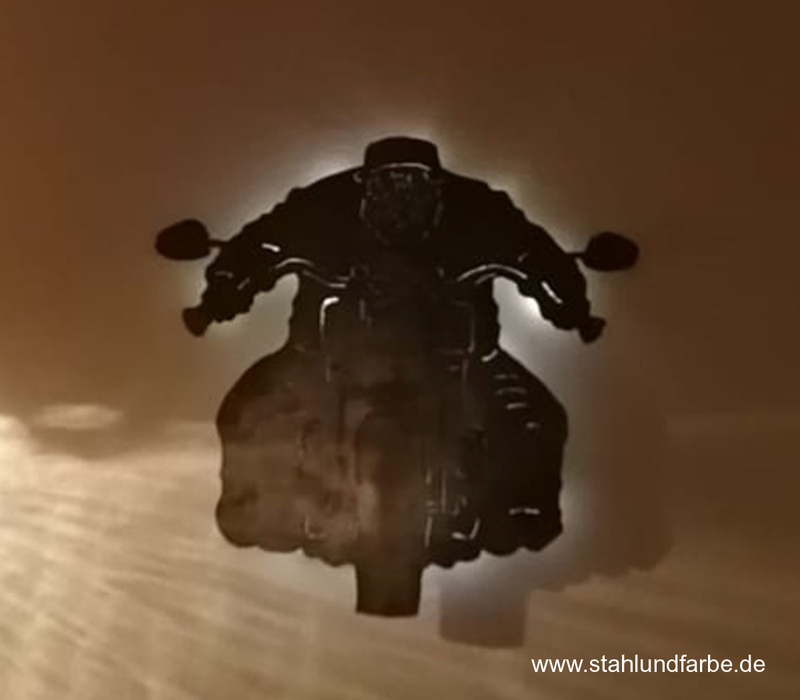 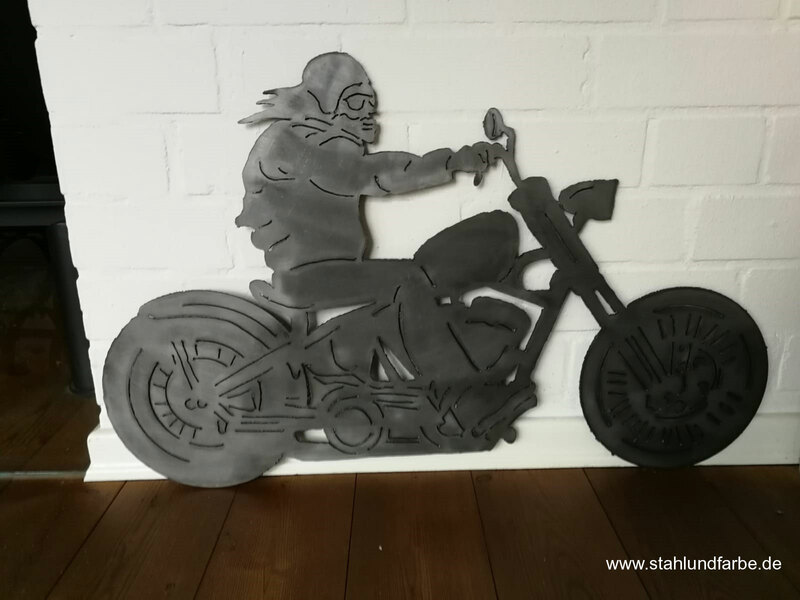 Metal wall picture Harley Davidson Biker, backlit, height 40cm x width 70cm. 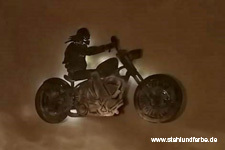 Led wall painting motorcycle metal, backlit, height 40cm x width 70cm. 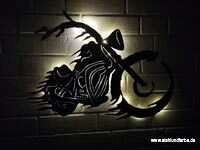 Led wall painting reaper biker metal, backlit, height 40cm x width 70cm. 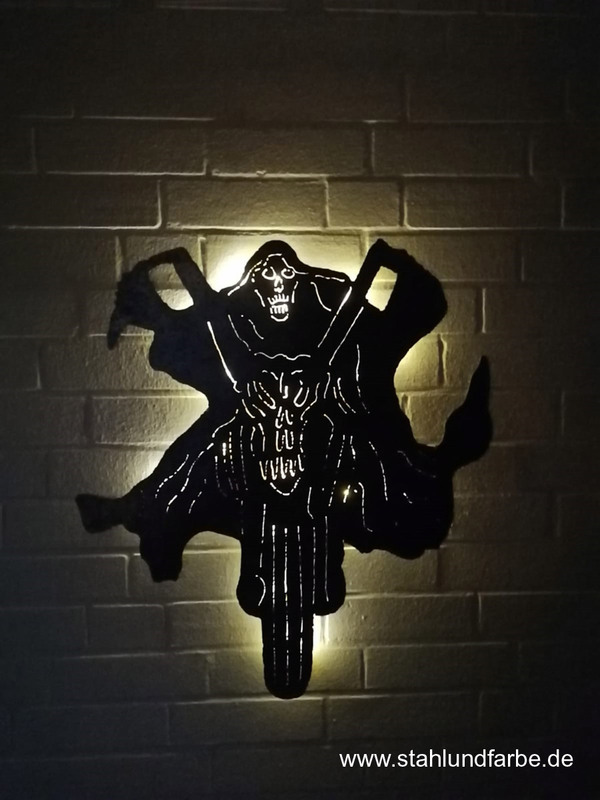 Led mural skull emblem metal, backlit, height 40cm x width 70cm. 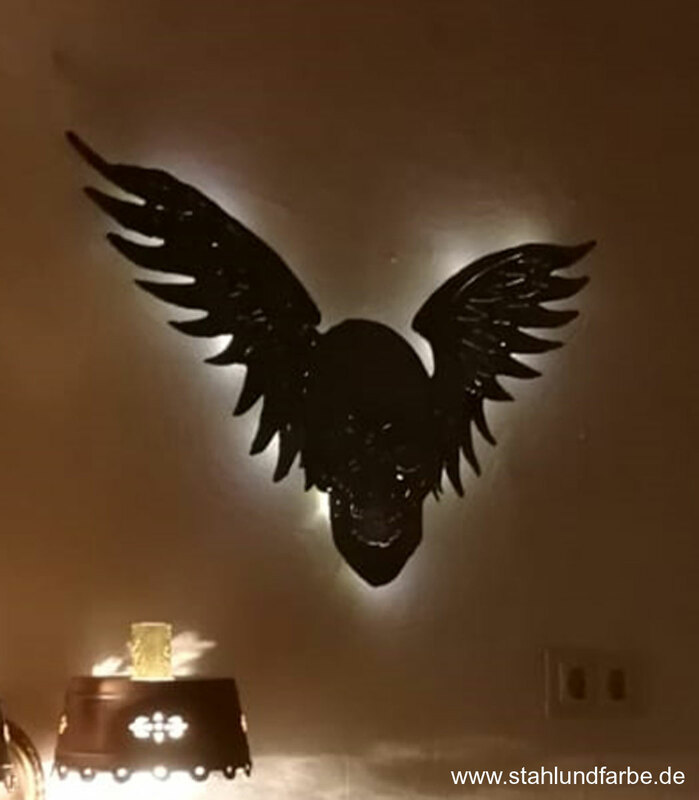 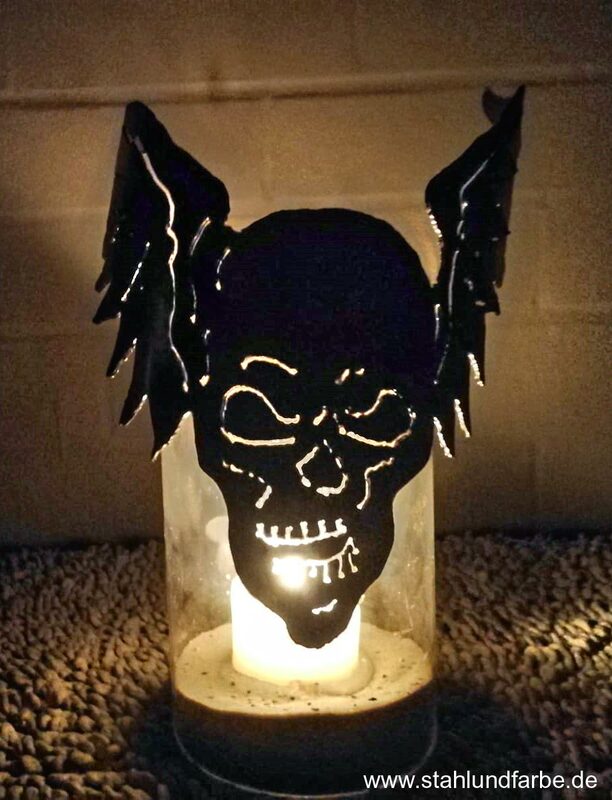 Skull emblem pluggable on candle glass, height 40cm x width 70cm. 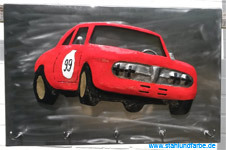 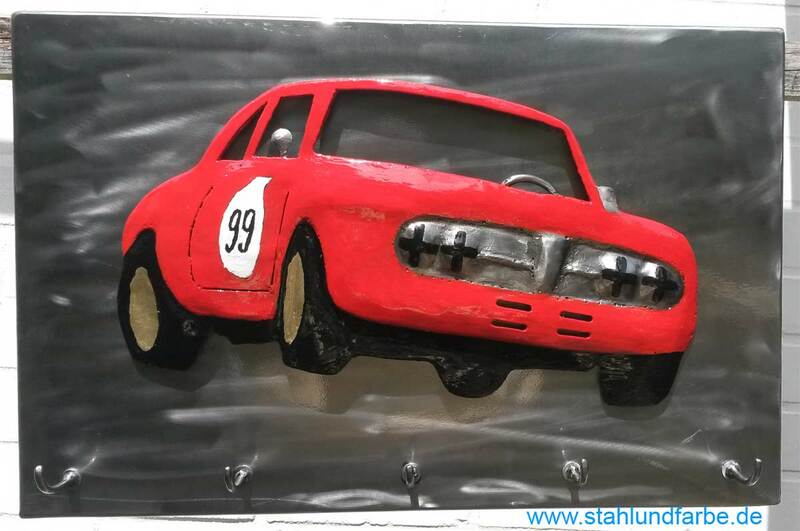 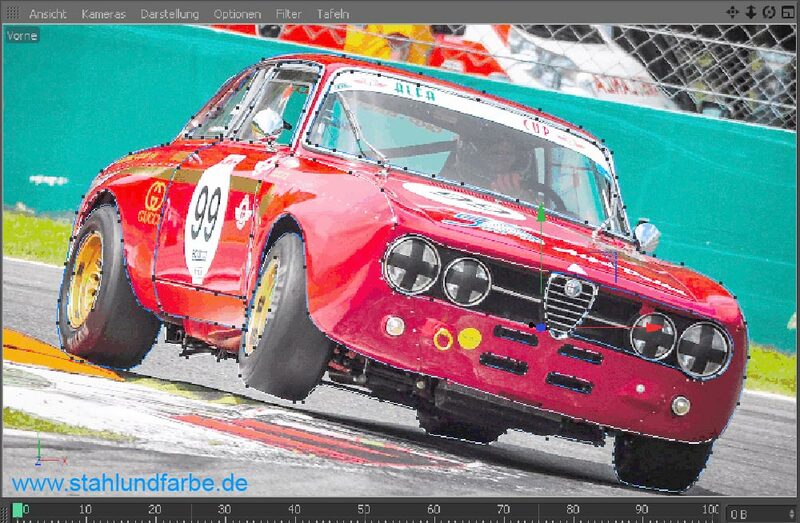 Wall coat rack made of metal with automobile motive Alfa Romeo GTA.